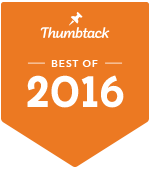 Thumbtacks "Best of" 2nd year in a row! What an exciting honor! For the 2nd year in a row, I've been awarded Thumbtacks "Best of" for Corporate Headshot photography based off of client reviews! Since this is awarded based off of customer experience I couldn't be more happy! I really appreciate all of my clients and I'm so glad that they feel that when they come into the studio! Or in their office! Thank you to everyone who wrote a review for me! You are helping me achieve my dreams by supporting me and the work that I do! I am so grateful for each and every one of you!